During our recent Japanese holiday, we had a lot of amazing food. In fact, Japanese cuisine is so much more than just (fantastic) sushi and sashimi! My youngest daughter especially liked korokke (コロッケ), aka potato croquettes coated in panko and then deep fried. Need I say more? Maybe I should also specify that there are different kinds of korokke. There are plain potato ones, cheese filled ones (they are to die for, I swear!) 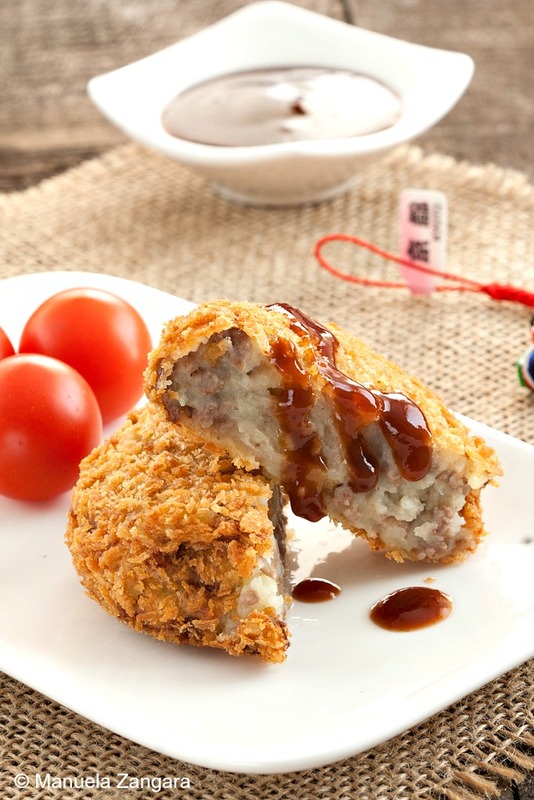 and beef korokke, like the ones of today’s recipe. They are so crunchy on the outside, and when you bite into them you get rewarded with a delicious soft and almost creamy filling. Yum! where we would buy them at the depachikas (food floors of big department stores). That’s also where we would buy fantastic yakitori and freshly made gyoza. 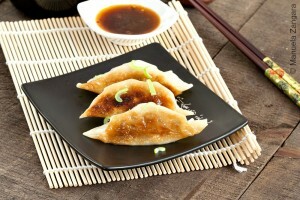 Check out my Japanese GYOZA! Easy, moist and really TASTY! My mouth is watering just thinking of them. Korokke go very well with Tonkatsu Sauce, but I also like them plain. They are quite easy to make and they are a great way to have fussy kids eat some meat. Enjoy! 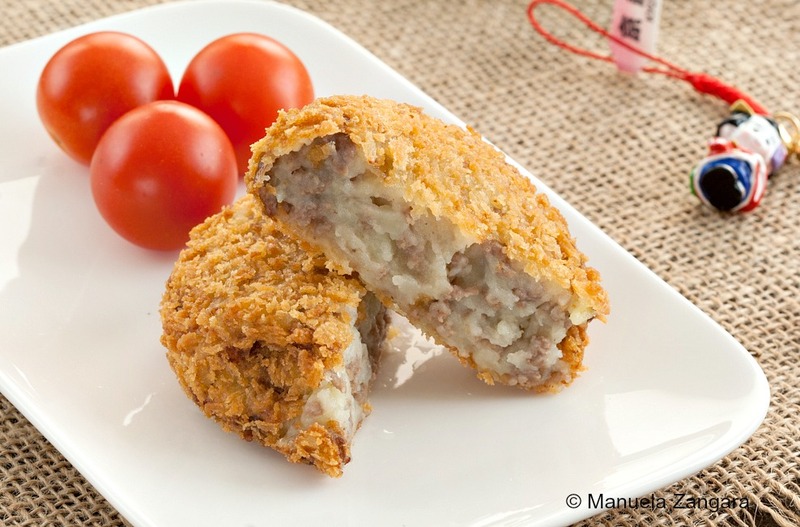 Beef Korokke - a fantastic Japanese recipe: deep fried and panko coated potato and beef croquettes. Finely chop the onion and sauté it with the oil, until soft. Add the meat and break it up with a wooden spoon. When the meat is cooked, add salt and pepper. Turn off the heat and let it cool. Put the potatoes in a large pot, cover with water and bring to a boil. Cook the potatoes until soft. Drain the potatoes and put them back on the fire, on low heat, so that any remaining moisture evaporates (be careful not to burn the potatoes). 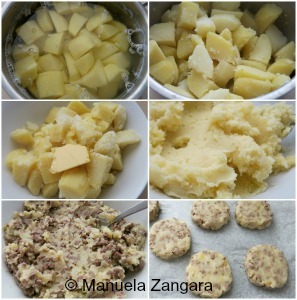 Transfer the potatoes into a large bowl and mash them. Add salt, pepper and butter. Before adding the meat into the mashed potatoes in the bowl, get rid of the juice from the meat. 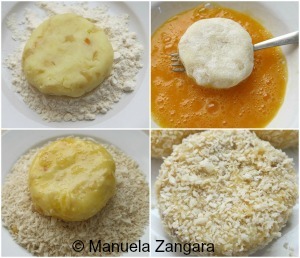 If the mixture is too soft it will be too hard to shape the korokke. Mix well. 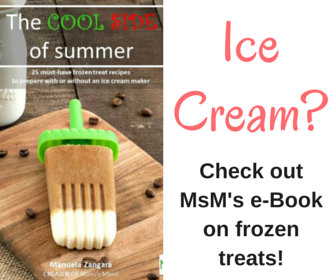 Set aside till cool down so you can hold the mixture with your hands. While the mixture is still warm, but not too hot, start shaping the korokke. Let them rest in the fridge for 15-30 minutes. 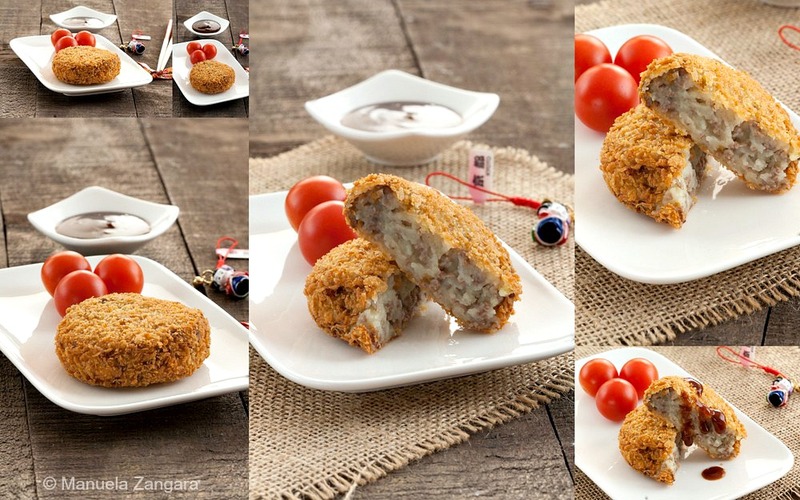 Dredge each korokke in flour, egg and Panko and put them back in the fridge till you are ready to fry them. Deep fry them over medium high heat, until golden brown. 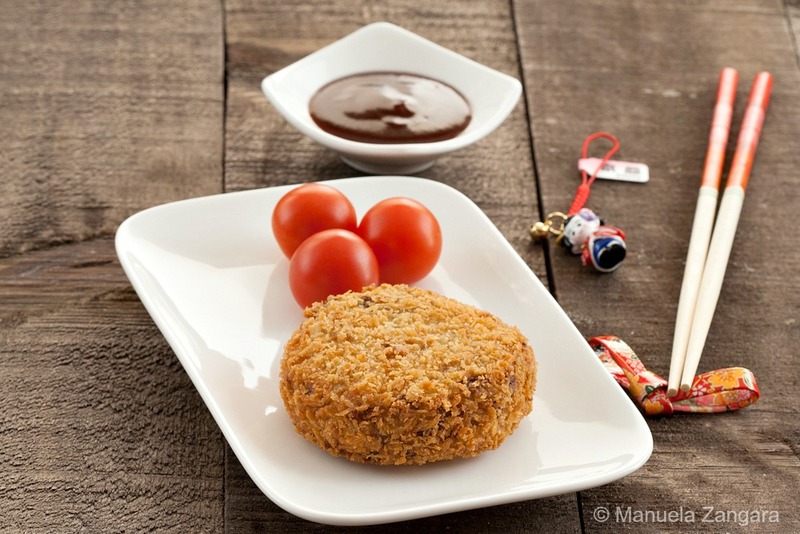 Transfer the korokke to a plate covered with paper towels to absorb any excess oil. Serve immediately with Tonkatsu Sauce.